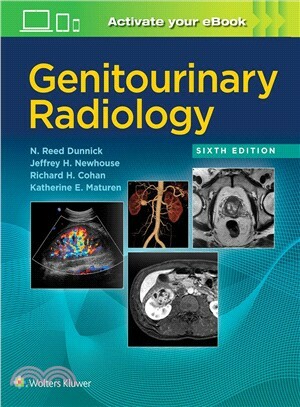 Previously known as the Textbook of Uroradiology, the newly retitled Genitourinary Radiology continues to bring you top-flight expertise in interpreting imaging studies of the genitourinary tract. A team of leading authorities walk you through the full range of relevant modalities and findings for each anatomical region, providing a multitude of high-quality representative images that capture the characteristic appearance of the conditions you’re likely to encounter. The result remains an indispensible resource for diagnosing genitourinary diseases and disorders. Identify abnormalities using the latest imaging technology thanks to comprehensive updates throughout, including PET/CT and SPECT/CT, MR urography and MR angiography, CT dose reduction and 3D CT imaging, and more. Recognize what to look for by reviewing more than 1,000 images and accompanying discussions that pinpoint the most important diagnostic features for virtually every genitourinary disorder. Quickly find the guidance you need through a practical, intuitive organization that concisely summarizes the disorders found in each anatomical area and then walks you through how these disorders present via the most relevant imaging modalities.